When the Son of man cometh, shall he find faith on earth? An everyman's Christian Reconstruction and Theonomy. Lou Poumakis crisply summarizes the late Dr. Rousas John Rushdoony's remarkably influential applied Biblical faith in this readable and pithy overview. “Shall He find faith on the earth?” is a question Christians must answer, for they will decide the matter. Believers today have yet to appreciate the magnitude of the responsibility God has placed on their shoulders. 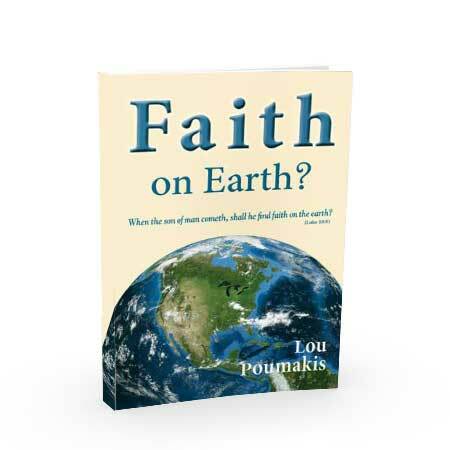 You may be surprised and challenged as Lou Poumakis sets forth the eternal significance of your personal eforts in this brief, thought- provoking volume. This book will stimulate your thinking about faith on Christ's terms. The church and the yet to be evangelized world need this message. 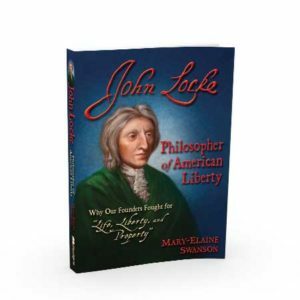 Listen to the recent interview with Lou on the Law & Liberty Podcast from Chalcedon. Nevertheless when the Son of man cometh, shall he find faith on the earth?” (Luke 18:8). These words from the Lord come at the end of a parable about a widow’s prayer for deliverance. They seem out of place, a cryptic remark disconnected from the subject at hand. But there it is and, when we look at the history of the Christian faith, we can see there is cause for concern. There certainly could have been no doubt on the Lord’s part as to the outcome but He doesn’t indulge in asking idle questions. There is a strong implication here that says: first, man bears responsibility for the maintenance of the faith; and, second, the presence or absence of faith on earth when He returns depends on man. As we shall see, Christ has given His people much more responsibility than most Christians would acknowledge today. Without denying God’s sovereign control over all things, we can say that Christianity has no life of its own; its continuance and survival depends on Christians who make it what it is. The voluminous work of the late Dr. Rousas John Rushdoony, founder of Chalcedon Foundation, has remarkably influenced Biblical understanding in the twentieth-century church. The Nordskogs have long supported this work. Therefore, we are pleased to publish this important new contribution to Biblical worldview literature. Faith on Earth? by Lou Poumakis crisply summarizes Dr. Rushdoony’s applied Biblical faith in this readable and pithy overview. It begins with Christ’s question, “When the Son of man cometh, shall he find faith on the earth?” (Lk. 18:8). Faith is a big term. Faith means understanding that God is our great Father, Lord, and Redeemer. Everything in life belongs to Him. In this world of ultimate spiritual battle for the souls of men, everything matters for God’s glory and mankind’s good. Otherwise, all must count toward sinful death and destruction. No territory is neutral. Faith requires the constant, thorough seeking of God, of His purposes, and His ways. Faith defers to God in all things—including everything economic and everything relational, even the civil sphere and its politics. The whole Bible is God’s Law-Word, as all Scripture is inspired of God (2 Ti. 3:16). For too long the church has allowed a misguided and essentially Greek view to direct Christian life. In this view, known historically as Pietism, only so-called spiritual things are good. Material things are evil. The Gnostics went so far in this regard as to characterize Satan as the hero of the creation story. He thus attempted to stop the Creator from creating an evil material universe. The common Christian version of this gnosticism, upon a limited Biblical understanding, teaches that the mysterious spiritual realm is the only good, Satan owns this world, and thus any involvement in it, short of evangelizing, means soiling our spiritual selves. They believe salvation is essentially personal and irrelevant to the greater community. Often, a primary temporal goal of this faith is to find God in merely mystical experience. Such practice completely ignores the moral and ethical imperatives of the Gospel. Many varieties of this view have merged to become the mainstream Evangelical Movement. Added to it, Dispensationalism has provided a seeming rational excuse for allowing the world to go to ruin. In Dispensationalism, the world must become increasingly evil. As it reaches a crescendo of wickedness, Jesus will rapture His church from the world, and soon after will set up an external kingdom of Christ’s rule-of-iron over the remnant of the evil world. On the face of it, the Pietistic and Dispensational view flies in the face of the ministry of the Holy Spirit. Even Christ’s disciples at first expected such an external Kingdom. But no. Christ’s Kingdom expands from the heart of the individual outwards under the salt and light influence of believers. Thus, Jesus said the Kingdom comes without observation (Lk. 17:20). The Biblical view, the one the early American Pilgrims and Puri- tans held, says that Christ’s ministry will successfully fill the world with a mountain (world order) made without hands (Dan. 2:35, 44-45). Psalm 110 indicates that Christ rules at the right hand of the Father, reigning in the midst of His enemies, until they are made His footstool (Mt. 22:44; 1 Co. 15:25-26; Heb. 2:8). Clearly, Christ intends to rule over an earthly Kingdom, in anticipation of eternity, by expanding His benevolent influ- ence through His people as they build the Kingdom. He rules by His Holy Spirit through the individual hearts of those who belong to Him. Praise for Faith On Earth? These words have come to be known as the Great Commission, and Lou Poumakis thinks Christian believers as a whole have failed miserably to carry it out. Poumakis tells us that his book is a recapitulation of and a brief for the activist program of social reform developed and articulated by Rousas J. Rushdoony known as Christian Reconstruction. Poumakis points to humanism in its multifarious forms (including, mirabile dictu, Islam) as the principle world philosophy standing in opposition to a Christianized earth, but he asserts that the greatest threat to a completion of the Great Commission paradoxically lies within Christianity itself. He sees the resurgence of pietism (saving souls while forgetting everything else) and the social gospel (saving society without reference to, much less dependence on, God’s laws) and End Times pessimism engendered by best-selling popular books as a self-fulfilling philosophy of defeatism, all of which works against the fulfillment of Christ’s marching orders to His followers. Compromise with the world system was the besetting sin of the ancient Israelites, and in Poumakis’s view it’s the same today within Christendom. The Bible assures us that God’s desires will be done on earth regardless of what we think or wish; all we can do in a practical sense is place our trust in Him and do what He told us to do. Luke 18:1-8 is not a prophesy about how things must be at Christ’s return. The passage is an encouragement to have that same kind of faith as did the persistent intercessor, the widow. As God is far more willing to answer our prayers than was the unjust judge, we have all the more hope. Mr. Poumakis challenges the current eschatologies of defeat with the promises of God. 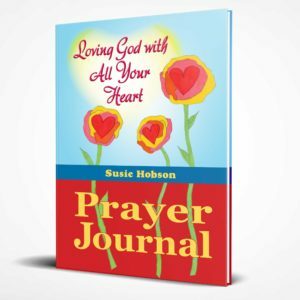 The author is a retired electrical engineer who has served as an elder in the Christian Reformed Church and a minister in the Federation of Reformed Churches. As a serious student of the Bible, his thinking was changed through the books of R. J. Rushdoony and the Chalcedon Foundation. He embraced the truths of Postmillennialism and Christian Reconstruction. In this book Mr. Poumakis shows that the Bible teaches an eschatology of victory and also gives us the means by which victory is to be won. His book is a clear presentation and defense of biblical truths to which most have given little thought. 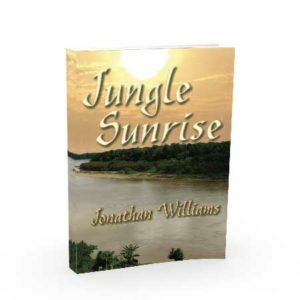 This book serves as a popular introduction that laymen can understand. 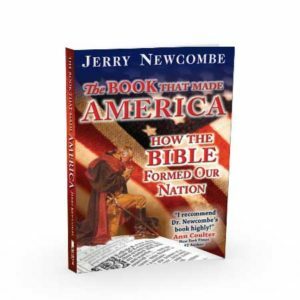 Once the Christian who ‘knows all about eschatology’ from their Schofield’s famous reference Bible, gets the big ideas from this short book, they may be ready to look into the issue further. Then they too can be influenced by Rushdoony and Chalcedon. Mr. Poumakis deals with various objections that have been raised, and points the way forward. God is sovereign. He has a plan for victory, and He has given us the Great Commission. Since God intends to use His people in fulfilling His plan, we have a responsibility. God blesses obedience to His law, but curses disobedience. How is it that the early church, even under severe persecution, eventually saw Christianity become the dominant faith of the Roman Empire, East and West? The Christian faith also became dominant in America, South Africa, Australia and other countries. And why is it that although 75-80% of Americans list “Christian” as their religion, Christianity has so little influence in public affairs? Lack of a good understanding of and commitment to the authority of Scripture led the modern church into theological drifting, to pluralism with its humanistic intolerant campaign for ‘tolerance’, and to a pessimistic outlook for the future of Christianity in the world. The result was withdrawal from the ‘world’ and ‘social issues’. “Onward Christian Soldiers” may still be enthusiastically sung, but an army that is told it cannot win, probably won’t win! But our enemies, such as humanism, will self destruct. The more consistent humanism becomes, the sooner it will collapse. The focus of this book is not on our present circumstances, but on God’s promises and prophesies regarding the future. Here are some crucial elements set forth in the book. God is in control of whatever happens on earth. He is sovereign. God rewards obedience with blessings and disobedience with curses. Obedience is an outgrowth of saving faith. Saved by grace, we are being conformed to the image of Christ. Christ has given us the Great Commission and the means to accomplish it. We have a responsibility in this commission. Even Adam was given work to do. God has given us a comprehensive Law to be applied to every area of everyday life and society. Education, business, government, media, and culture should be shaped by the application of God’s Law. It is imperative for us to recognize who God is, what He has promised, and what He wants us to do while on earth. What could happen if millions of Christians would regain the biblical hope and confidence for the future? What has God promised and prophesied about the future? I have sworn by Myself; The word has gone out of My mouth in righteousness, And shall not return, That to Me every knee shall bow, Every tongue shall take an oath. (Isa 45:22-23 NKJ) and quoted in Romans 14:11. IF the prophets and apostles could have such a bright hope for the future, despite their dire circumstances– how can Christians today be so pessimistic, even thinking they are supposed to be pessimistic? Are God’s sovereignty, grace, promises, prophecies, and Law enough for us to have an eschatology of victory? This book, Faith on Earth?, answers with a resounding YES! I commend it for your reading. Lou Poumakis is a retired electrical engineer. He practiced this profession until his retirement in 2002 but has been a serious student of God’s word since his conversion in 1974. He was ordained as elder in the Christian Reformed Church and later as minister in the Federation of Reformed Churches. Early on, he was attracted to the work of R. J. Rushdoony at Chalcedon Foundation where he discovered Postmillennialism and Christian Reconstruction. These doctrines reflected a truly Biblical Christian faith that possessed a dynamic that contrasted favorably with the passive outlook that predominated in what he had seen elsewhere. Faith on Earth? is primarily based on in- formation garnered from this source. Before writing Faith on Earth?, he published several articles relating God’s word to current events. He and his wife Joan, who have been married since 1955, now live in Florida. They have been blessed with two children, seven grandchildren, and three great-grandchildren. Be the first to review “Faith On Earth?” Click here to cancel reply.